Like all penguins, the Little Penguin is highly adapted for life in the sea. Its body is streamlined, its wings are modified as flippers and its feathers are densely distributed over its body. The upper parts, including the back of the Little Penguin are distinctly blue, which explains one of its alternative names (Blue Penguin) and the underbelly is white. Its bill is grey-black with a pinkish lower base, and its iris pale grey to white. Young penguins are bluer than adults. The Little Penguin is also known as the Fairy Penguin because of its small size. The Little Penguin is the world's smallest penguin. Little Penguins live along the southern edge of mainland Australia as well as Tasmania and Kangaroo Island and Granite Island just off South Australia. Adult Little Penguins are largely sedentary, returning to the colony when not at sea. Adult penguins forage for food at sea, mostly from dawn to an hour before dusk. 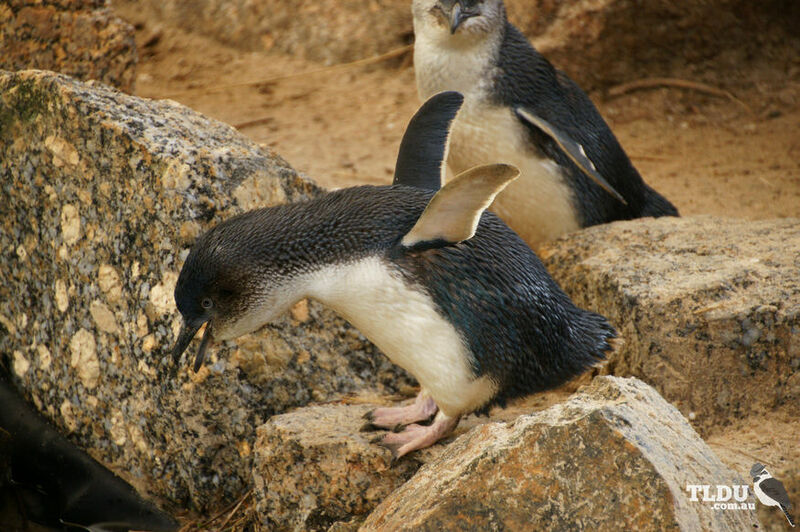 Little Penguins swim with their flippers and use their tail for guidance. They feed on small shoaling fish and cephalopods, and to a lesser extent, crustaceans, which they capture and swallow underwater. Although several birds may pursue the same shoal, they feed singly, not cooperatively. Adult penguins may travel 14 km - 20 km per day when foraging, covering shorter distances when breeding. A foraging bird can dive from 6 m - 69 m (average about 30 m), with a sprint speed of 1.5 m/s - 2 m/s, and remain submerged for over a minute. After feeding, Little Penguins approach the colony in tight groups, remaining offshore until dusk. 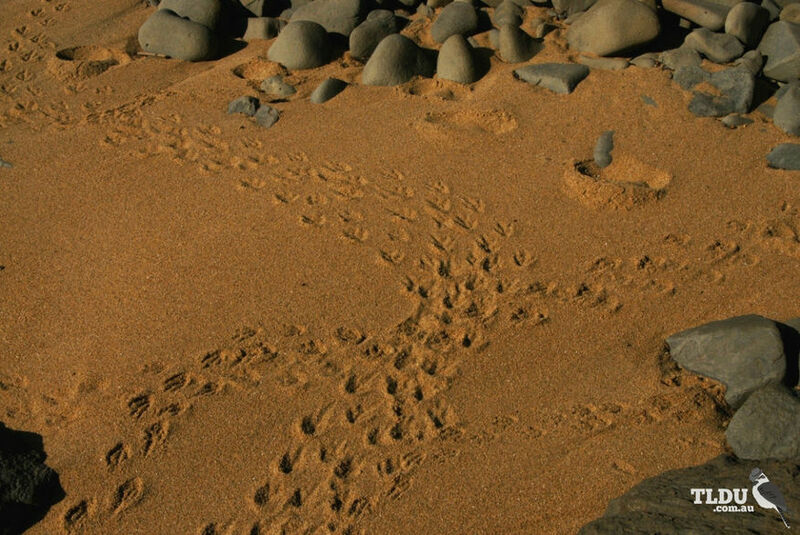 At dusk they come ashore, cross the beach, and head to their own burrows. Little Penguins are threatened by a range of human-related activities. Colonies of Little Penguins have declined or disappeared in breeding areas altered by grazing or erosion. Other threats include oil pollution, discarded plastic products and fire. Feral animals are a considerable threat. For example rabbits have changed island habitats until these are unsuitable for penguins and predators, particularly dogs, kill many birds. In some areas, penguins are still deliberately killed for bait. The Australian population is estimated at less than 1 000 000 birds.